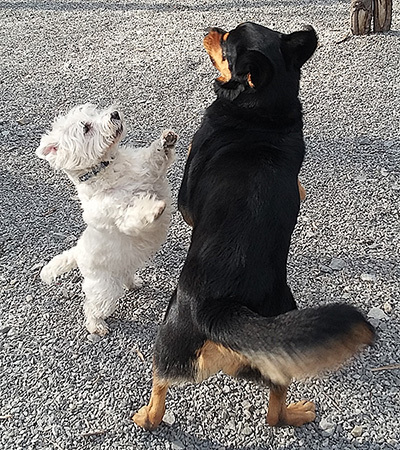 Gentle pet care has provided us with worry free travel when we leave our dogs rocky and titan there Brenda has provided professional boarding . Our dogs don't want to come home. 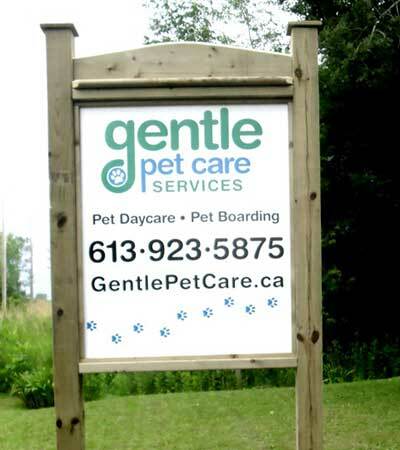 "We have used Gentle Pet Care several times over the last few years. Our dog Spike loves to spend time there and always has a big smile for Brenda when he arrives! We are very happy that he exercises several times a day and we love that he gets lots of hugs and attention while he is there. We never have to worry about leaving him behind. Thanks Brenda and Wayne for treating him like part of the family!" Absolutely everything was perfect ! I was the nervous one about leaving our big boy, an Akita, Ryo. We had just adopted him and he was still unsure of his place in our family. We were not sure, if he had any issues of aggression. We got back the next evening and Ryo was a VERY happy boy. He got along with all the other dogs and made a best friend out of a Boxer. We will definitely have him back there , without ANY hesitation !!!! Thank you guys for being the marvelous people you are and sharing your natural abilities with us,as owners, that are the nervous ones, NOT the dogs. Ryo, was definitely a very happy boy there.